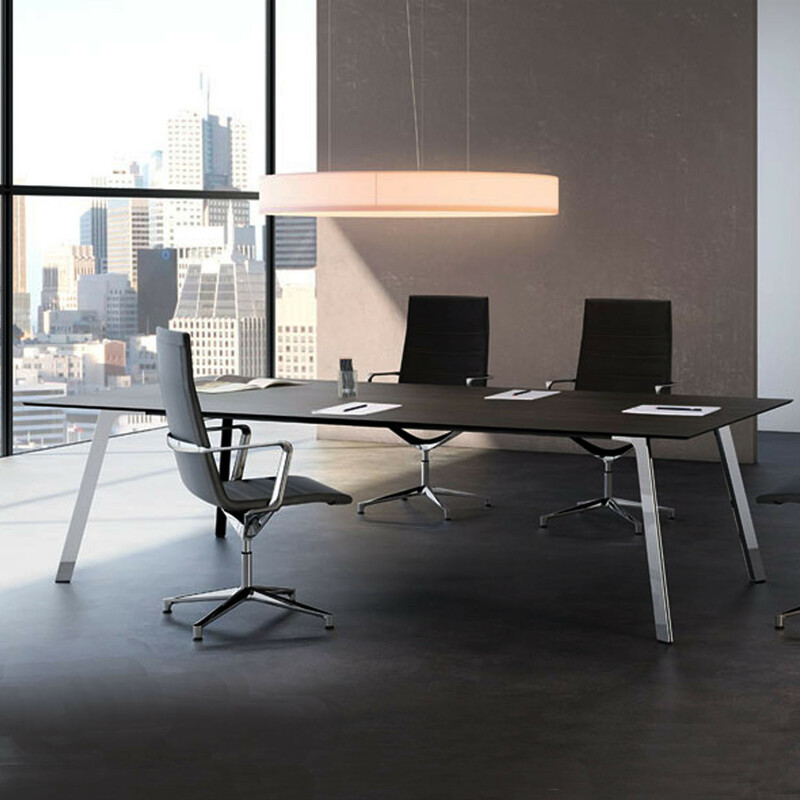 The designer of Groove Office Tables, Norbert Geelen, concentrated on creating a top quality product that would be solid and long-lasting; combining aesthetic beauty with balanced forms. The choice of materials was of the utmost importance: thick section steel, to unleash its natural elegance without any superfluous additions. Light and resistant. And, then, a really flexible and adaptable connection system. 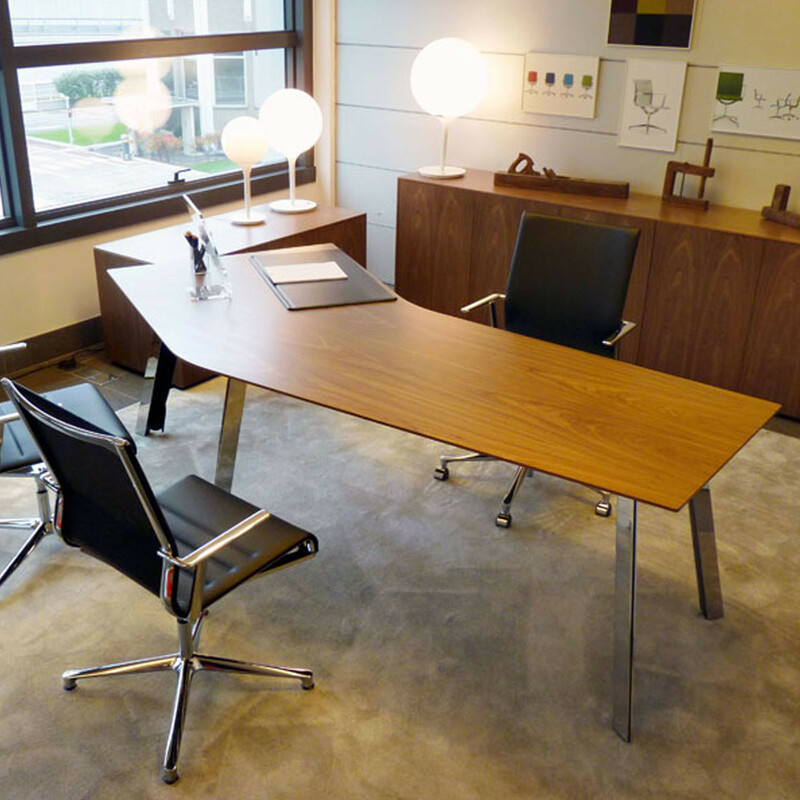 Whether a single manager's desk, office desk or an executive meeting table, Groove Tables can adapt to all office requirements. 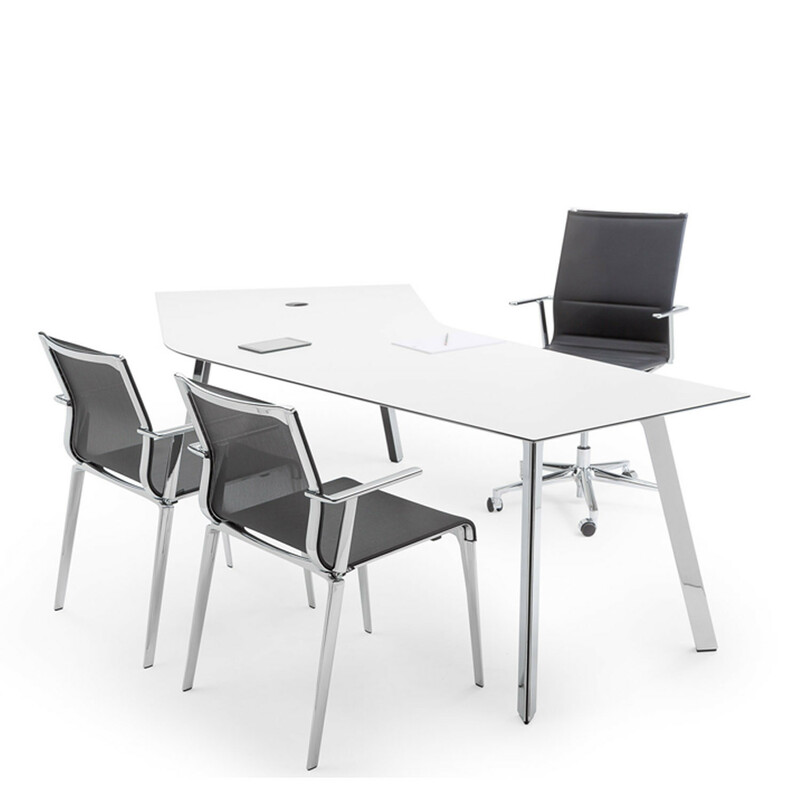 Its clean and linear profile successfully characterises the space, while maintaining a harmonious balance of forms. 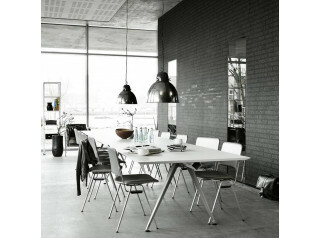 Each element of Groove is studied to convey balance and lightness. Connections have been studied to remain invisible. The strategic use of extruded aluminium allows for the insertion of cable sleeves and other technical features into the frame itself, further enhancing the extremely clean forms. 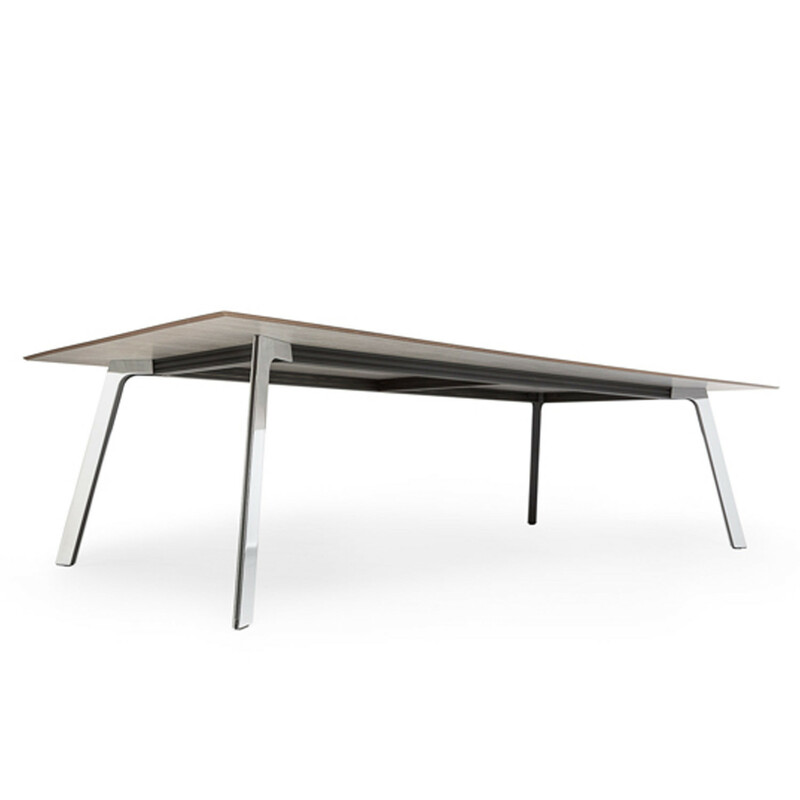 The floor glides of both Groove models are height adjustable, to level the table where necessary. 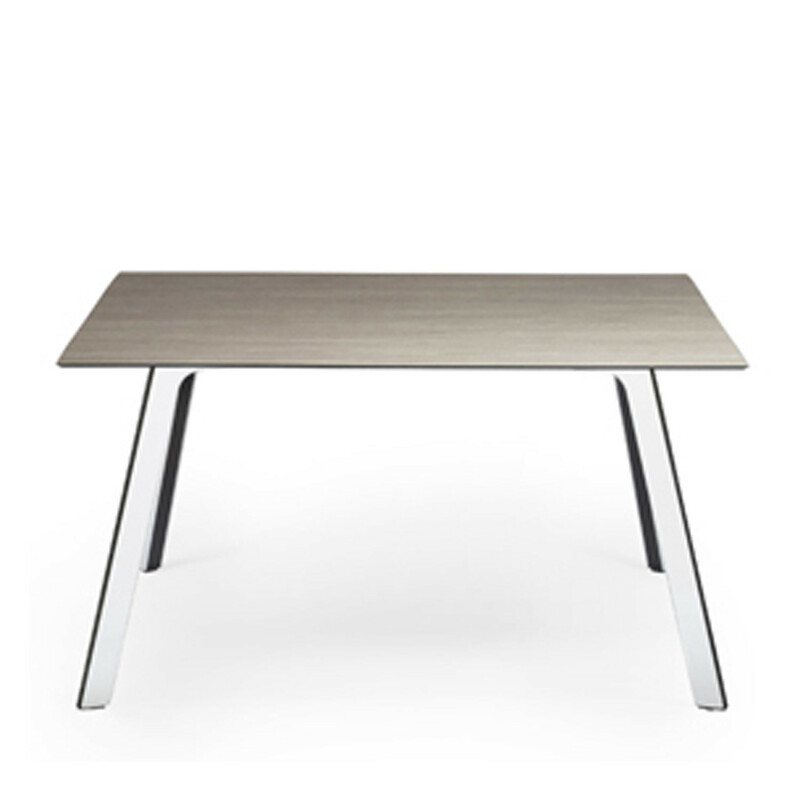 The Groove Table tops are available in different shapes and finishes, and are made in various dimensions. In HPL black or full core thickness 10-12 mm. 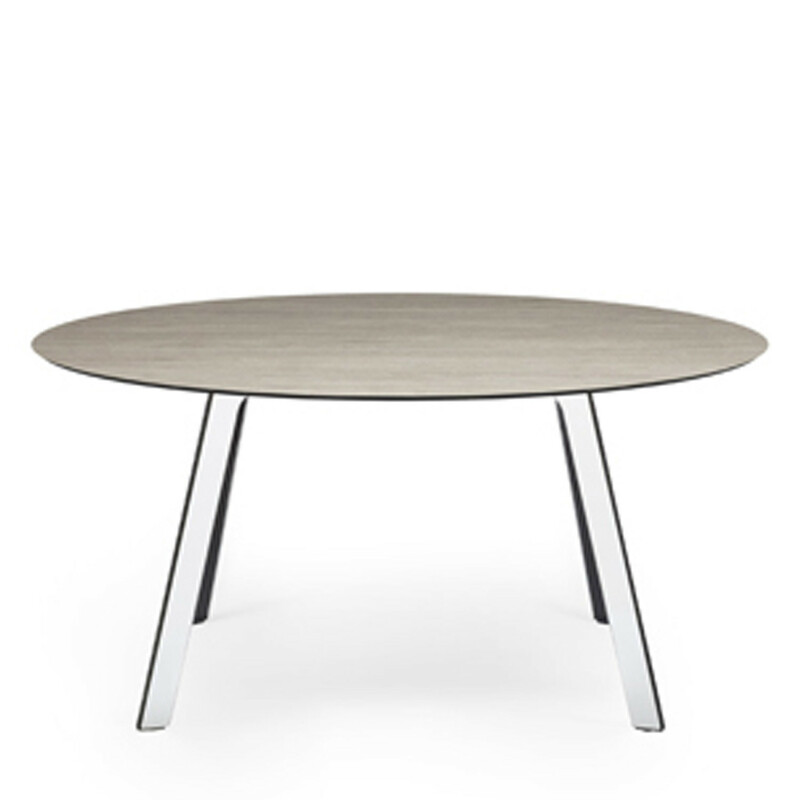 The flip door is placed in the centre of the table top. 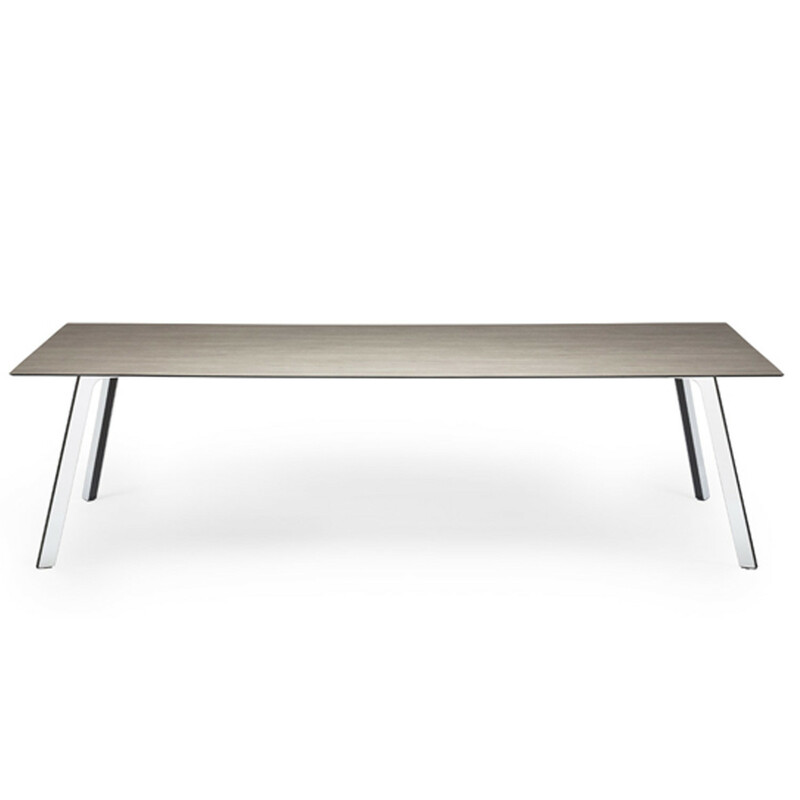 It is formed by an aluminium frame and a central element in the same finish as the top. It has a opening on both sides and cable tray under the top to hold wiring. 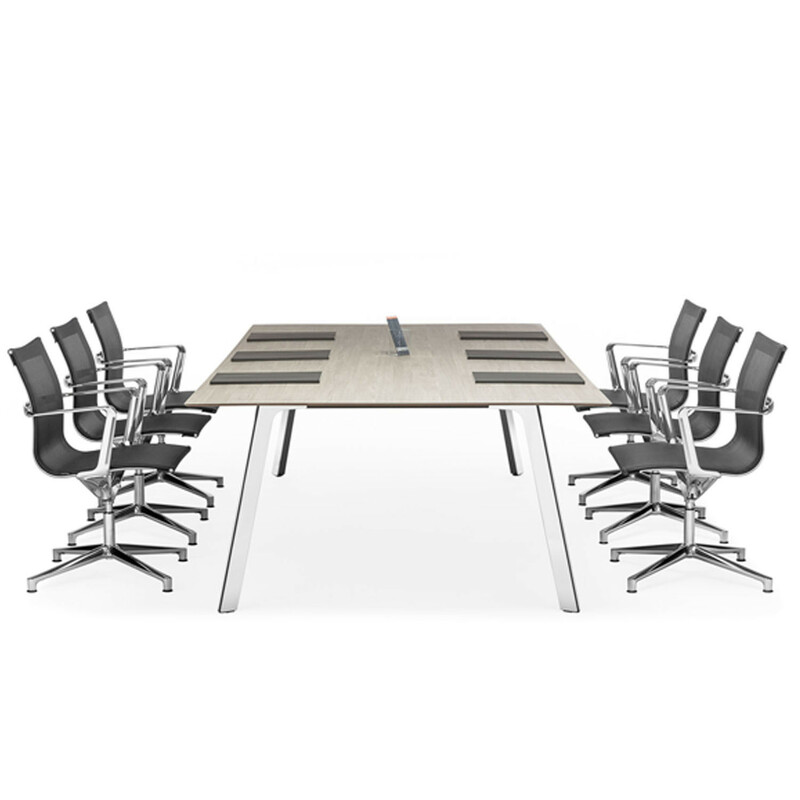 Please download the product brochure for information on Groove Office Tables. 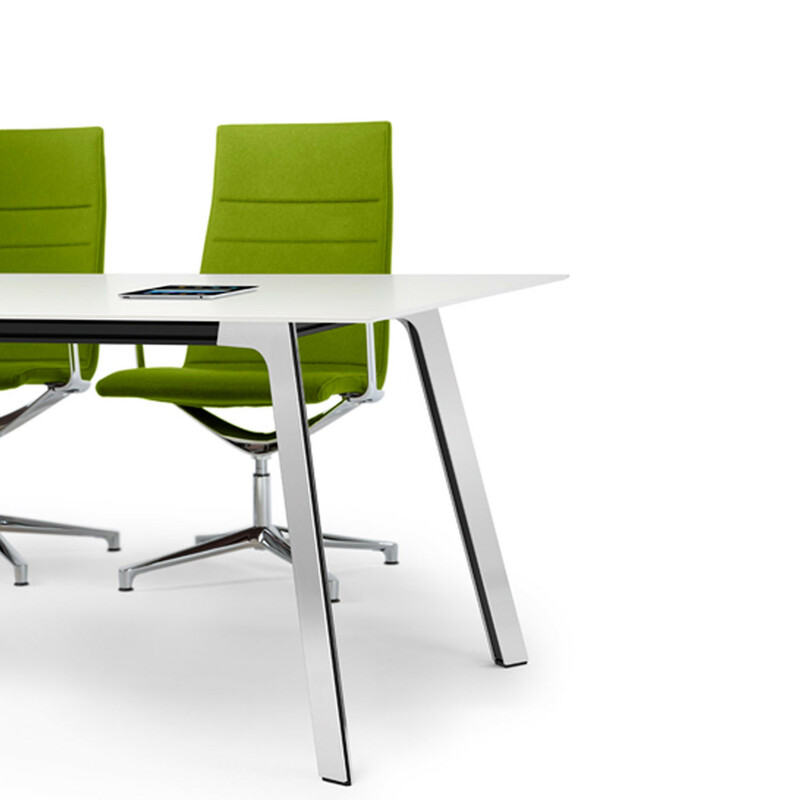 Groove Meeting Table and Groove Manager Desk are the two models available in this office furniture range. View more products from ICF. 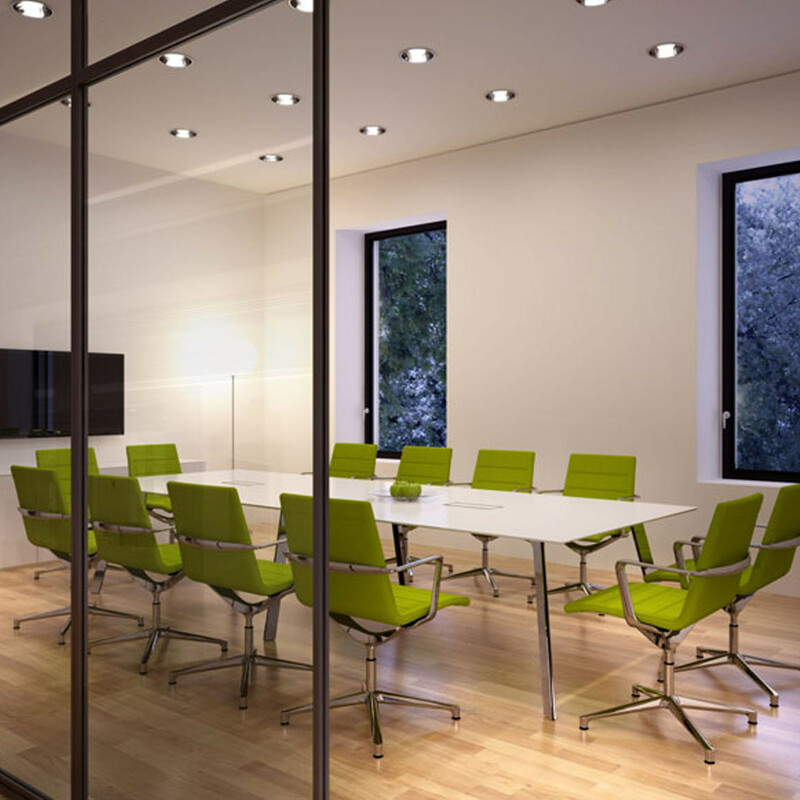 You are requesting a price for the "Groove Office Tables"
To create a new project and add "Groove Office Tables" to it please click the button below. 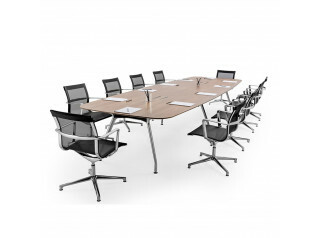 To add "Groove Office Tables" to an existing project please select below.